she has always been a little darling . awww so sweet! Loving the soft colour palette and all the subtle layers. 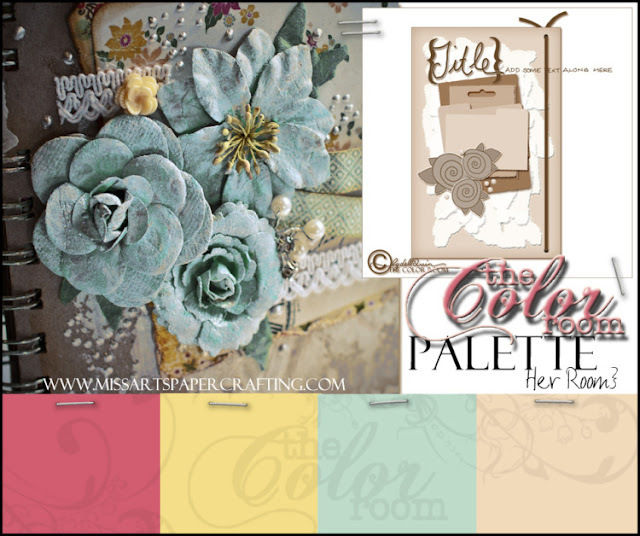 Oh what a pretty color combo, and what darling photos of your little cherub! even what you call simple looks stunning to me!! love this!! Stunning color combo!!!! I will sure give it a go!!! Your layout is so soft and sweet!!! I LOVE it!!!!!TFS!! Oh Heather this is just soooooooooooooooo cute! Love those sweet pics....perfect for this and the colors look fab! You are sooooooooo amazing!!! This is GORGEOUS! I loveeeeeeee those precious photos and loving the heart!!!!! I love the beautiful simplicity of this one..the soft colors and feminine details are wonderful! Oh they are the sweetest little photos Heather... love the softness of this gorgeous layout... and the beautiful color palette..
Hi Heather, All your pages are gorgeous and inspirational. You continue to amaze and surprise with your creativeness, always coming up with something new and different. This is another gorgeous page, the photos are beautiful,love the misting/masking, the punched strips and layers and the little hexagons and heart. Thanks so much for sharing. Thanks so much for stopping by my blog and for leaving me such beautiful comments, you always brighten my day. My dear friend, I was traveling a lot so I have to see lots of blogs now but have to tell you, You did it again, wonderful LO! Your photos are just perfect for this palette (although I am still unsure how I am going to try and incorporate that fourth color this week). I love love the white space and the touches of blue and yellow. I think the punching is a highlight. Wishing your a "happy" smile soon. Oh wow Heather I just adore this - those colours are awesome and you have worked that palette so well !!! Simple? Maybe compared to other pages, but so beautifully detailed and designed! Gorgeous design. Darling photos. Love the stitching and those hexagons and that sweet yellow gingham heart. This page just makes me smile! So sweet your baby page ths colors are perfect for it!